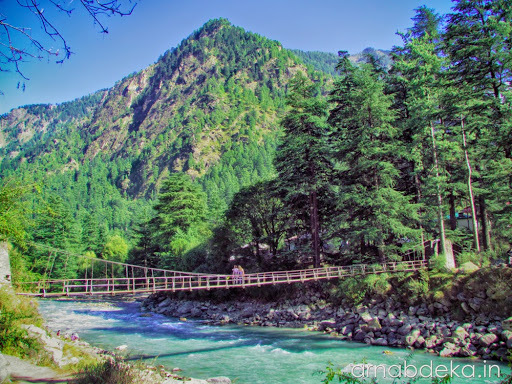 Kasol is a small town located in the Parvati Valley of Kullu District, Himachal Pradesh, India. 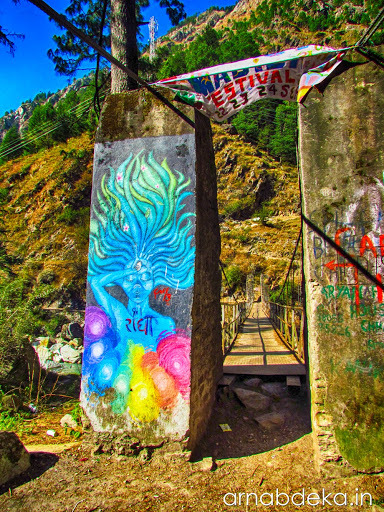 Situated at the heart of Parvati Valley, Kasol is an offbeat retreat for backpackers. 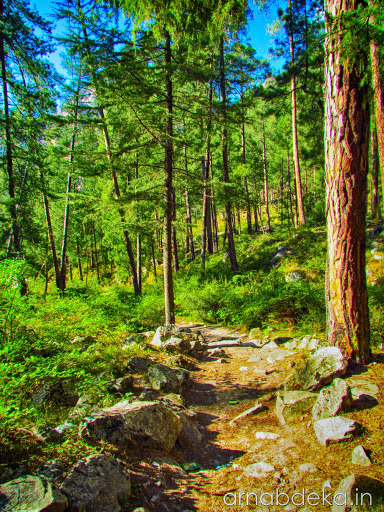 Although the nearby villages of Kasol is quaint, Kasol has sufficient modern amenities such as travel agents, internet cafe and restaurants. Reaching Kasol : By flight or bus to Bhuntar. Regular bus plies to Bhuntar from Chandigarh/Delhi which takes approximately 7-8 hours from Chandigarh and 13 hours from Delhi. From Bhuntar bus plies every 30 minutes to Kasol. Reached Kasol on the morning of 18th October, 2014 with all excitement to explore the Parvati Valley. Upon arrival in Kasol, we were startled to find touts didn’t approached for hotels which is usually common in any tourist place in India. Moving on towards Manikaran for 200 meters to find an inexpensive stay we found a beautiful place, Himalayan Guest House, owned by a local family. Our senses evoked as soon as we opened the balcony door. The view of the Himalayas, the ripple of the Parvati River as it hopped over the stones, the chirping of the birds; everything was calm and serene. 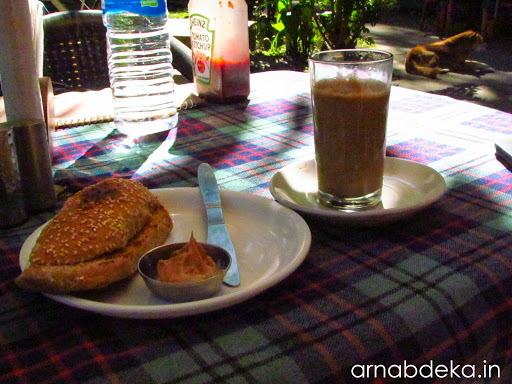 Soon we got fresh and had our breakfast in Moonlight Cafe/German Bakery and set out to explore the Parvati Valley. 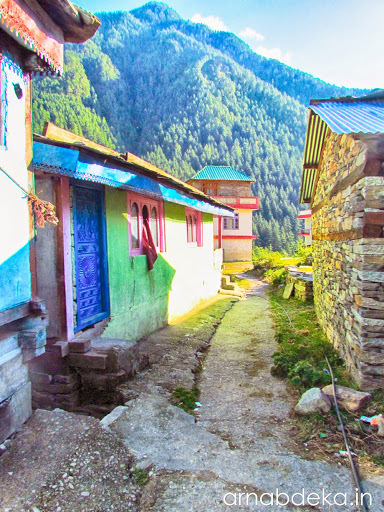 Choj is a hamlet, situated at 10 minutes walk from Kasol. Bridge connecting Manikaran Road and Choj village. After exploring Choj, we headed towards Challal. The trail to Challal takes about 30-40 minutes. Travellers and locals can be found on the way and human inhabitation is sporadic. The terrain is rugged and it is advisable to walk at a medium pace. Challal is a sleepy village with few cafes. The villagers are heart warming to talk with and they are always full of ideas to make backpacker’s journey comfortable. An alluring thing that I found among the natives of the valley is that they are happy in their own terms. Right from a child to an old man everyone seemed quite joyous and their face resounded happiness. Perhaps their understanding of comfort and luxury is far more deeper because their comfort is to share a smile and luxury is to make a backpacker’s journey comfortable. Kids posing from their school ! In the village I meet the same kid from the previous photograph and I gave him a Cadbury Dairy Milk. 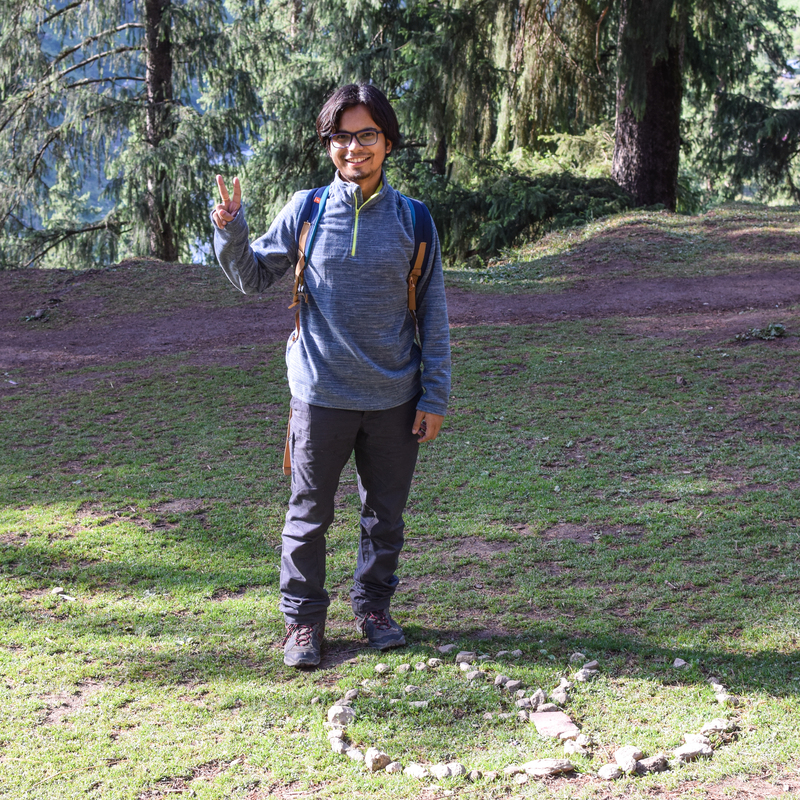 After roaming around the village for sometime and striking conversations with the locals we had our lunch in Freedom Cafe and headed back to our room in Kasol. Your words and pics refresh the moments spent with Parvati . Thanks Luice ! Glad that my post refreshed your memory. so many memories from parvati been refreshed..been there thrice..the last being on oct 2013…looking at the photos..i feel that i was there just yesterday..
Hi great narration and pics!! !..I am planning a back packing trip to Kasol this May. Was searching for a cheap decent acco. and found yr blog..What was the rate for Himalayan Guest House?..Please write to me directions for reaching there. Also, is there any cyber cafe in vicinity to this guest house as I will have to work online for few hours as taking quite a long break from office. Please guide me. Thanks in advance. Regards. The rate for Himalayan Guest House is pretty cheap, Rs 300 per night per room. ( Do negotiate.) The bed is pretty big. Two or three people can easily can be accommodated. Once you are at Kasol Bus Stop you need to walk towards Manikaran. Walking down the road for about 300 metres towards right (towards left look for Kasol Camps) there is small road going up hill. There is a sign post for Jim Morrison Cafe. (you can find the cafe in Google maps). So this guest house is just beside that cafe. Yes, there are few cyber cafes in the vicinity, so you need not be worried about that. Please ask for any further clarifications. Thanks ! Happy that the photos refreshed your memories.